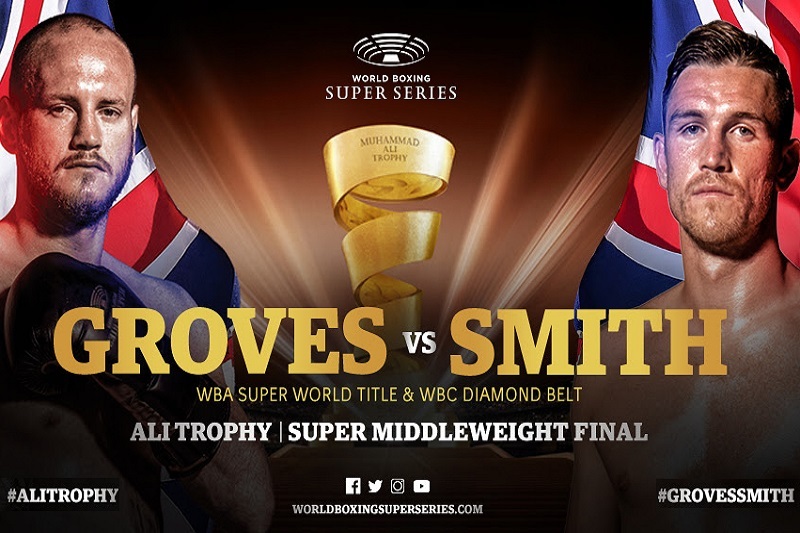 HomeFeatured ArticlesGroves – Smith WBSS Final: Venue Outside The UK! The venue for the Groves vs Smith WBSS Finals is likely to be outside of the United Kingdom! In a very bizarre turn of events, it appears the WBSS 168 pounds finals will not be showcased on UK soil. This is a huge domestic fight featuring two of the country’s more popular fighters. With the winner claiming the WBSS trophy and bragging rights as arguably the best super middleweight. In February of this year, Groves suffered a shoulder injury in a lopsided victory against Chris Eubank Jr. The injury required minor surgery which pushed the original scheduled date for this fight in June into the fall. For a while it wasn’t certain if Groves would be able to compete at one point. Ironically, Eubank Jr. was named as a reserve. Smith who also last competed in the ring back in February is eager to see this happen, but he himself is wondering why such a huge domestic fight isn’t going to be in a major venue in the UK. Two popular British fighters being showcased outside the country is mind boggling to say the least. Even though nothing has officially been announced, it’s been rumored that Jeddah in Saudi Arabia is a potential location. 3kingsboxing will continue to follow this story for further development.